Earlier this year the Premier League introduced a new initiative called Premier League Primary Stars. 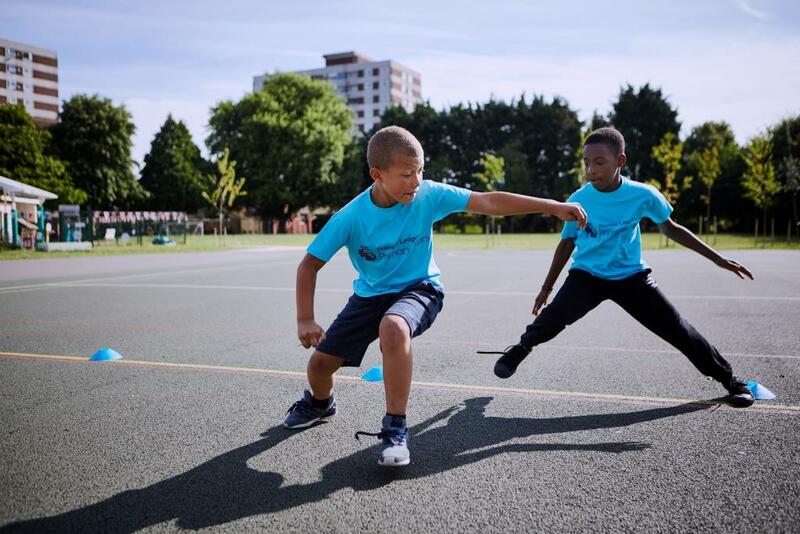 Not just about playing football, this initiative uses the appeal of football to engage and inspire young people to learn and develop important life skills. My Boys Club have been asked to get involved and find out more to encourage parents to register their schools to this free initiative. Do you have a teacher that inspired you? I still remember my primary school teacher from when I was about 8 years old. I was in Year 2 in Junior School then, but I suppose that would now be Year 4 in KS2. This teacher was the biggest football fan I’d ever met, and he taught all his lessons by using football to engage and inspire us, whether we were boys or girls. My teacher was a West Bromwich Albion fan so he certainly wasn’t chasing glory, he just realised that using football was a great way to teach young children. Although we lived in the Midlands at the time, my team was Newcastle United, but they were in the old second division at the time so I had to choose a First Division team. The boys all loved Nottingham Forest and the girls Liverpool - I still have a soft spot for them now, and West Brom! All of the lessons I remember centred on football. In maths, we’d draw bar charts using league table data, and colour each bar in according to the teams’ colours. In English, we’d write stories about football matches. In fact, I think the only subject where football didn’t come into play was actually PE. I moved schools at the end of that year as we moved back from the Midlands to Newcastle and the teacher wrote me a message saying ‘Don’t ever forget the Baggies – and I haven’t. So when I heard about The Primary Stars initiative from the Premier League I was keen to find out more and get involved. I knew that football is a brilliant way to inspire and engage young people – and not only boys. It brought back lots of school memories for me, good memories too. Sadly he was ahead of his time in inspiring girls to love football. I wanted to play football for a team as a teenager but sadly after writing a letter to The Football Association, I learned that the nearest team to me then was over an hour and a half’s travel away. I also wanted to be a sports journalist - however, the local newspaper only offered work experience on the sports desk to boys. Thankfully things have changed for the current generation. I do still love football though and I’m pretty good at maths too. Premier League Primary Stars is a national curriculum-linked education programme which uses the appeal of the Premier League and professional football clubs to inspire children to learn, be active and develop important life skills. They seem like pretty decent values to me. 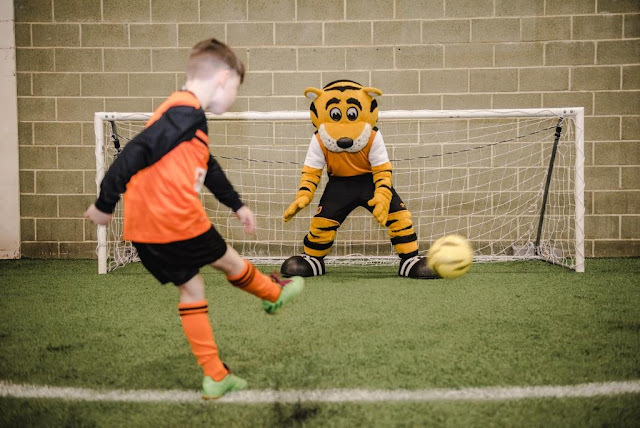 In-school support from the Premier League and professional football clubs, which aims to build on the existing support Clubs provide to primary schools and young people. This includes their coaches delivering PE, education support via Club Foundations and a range of other projects. What I particularly like is that the resources have been created in partnership with industry experts and children’s authors like Cressida Cowell who wrote the ‘How to Train Your Dragon’ series of books that my boys love, and Dan Freedman (‘Jamie Johnson’ series) who helped create the programme’s English resources, while Sky Sports presenter and mathematician Rachel Riley is a consultant in the development of Maths teaching resources. The boys have started to love TV quiz shows too so know who Rachel is. There's a great game on the site too where you can test our your maths. The boys got really competitive, as did I. 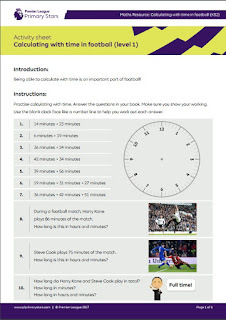 The fun is carried through to the worksheets that can be downloaded by schools which make them pretty engaging too. Much better than the worksheets I remember from my school days. Is Your Primary School Signed Up? 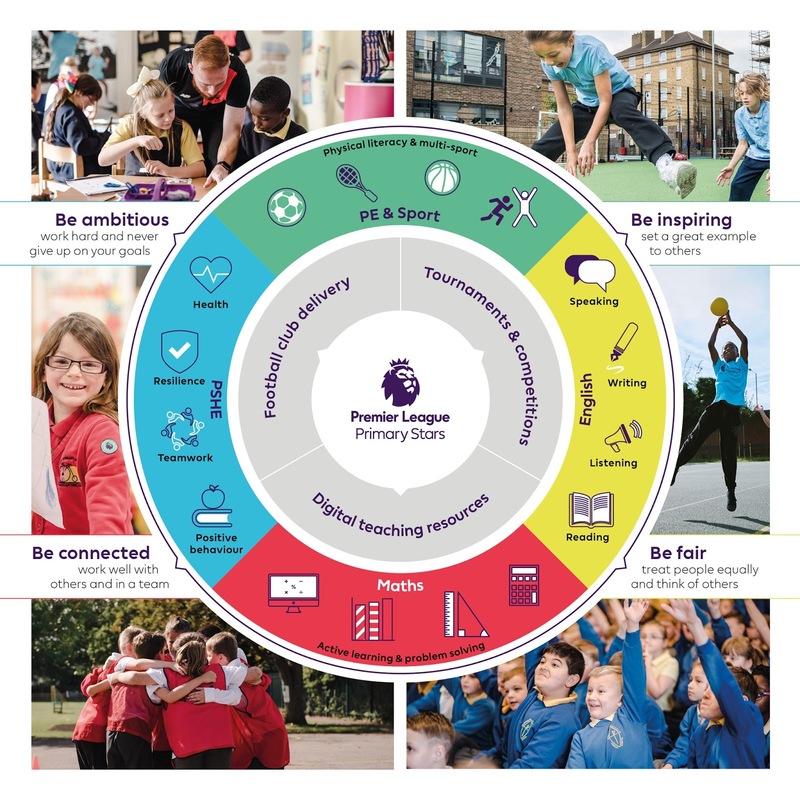 Premier League Primary Stars, the Premier League’s education programme is available to all primary schools in England and Wales. Nearly half of all primary schools have already signed up – it’s free and there are lots of resources available to teachers so if your child’s school hasn’t signed up yet, let them know about it. Parents can visit the website to nominate their school to take part. 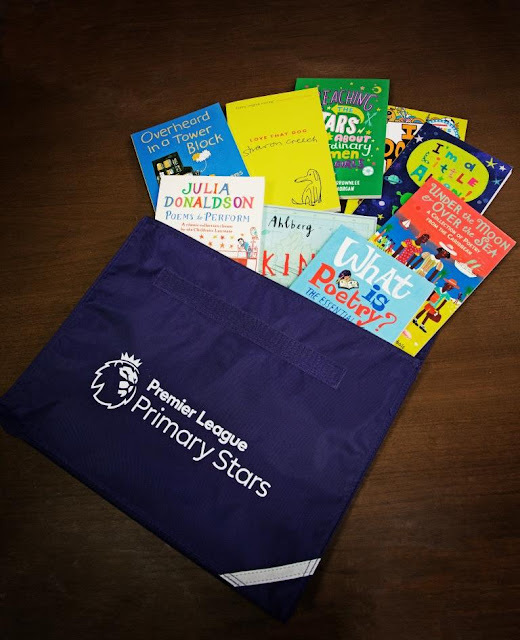 Last month the Premier League launched a poetry competition called Writing Stars, which has already captured the imagination of footballers, TV presenters, teachers and children. The competition is backed by an all-star judging panel including Chelsea and England legend Frank Lampard, Everton FC footballer Yannick Bolasie, Charlie & Lola author-illustrator Lauren Child and young people’s poet Caleb Femi. The competition is run via primary schools and asks children to write a poem based on the theme of resilience. 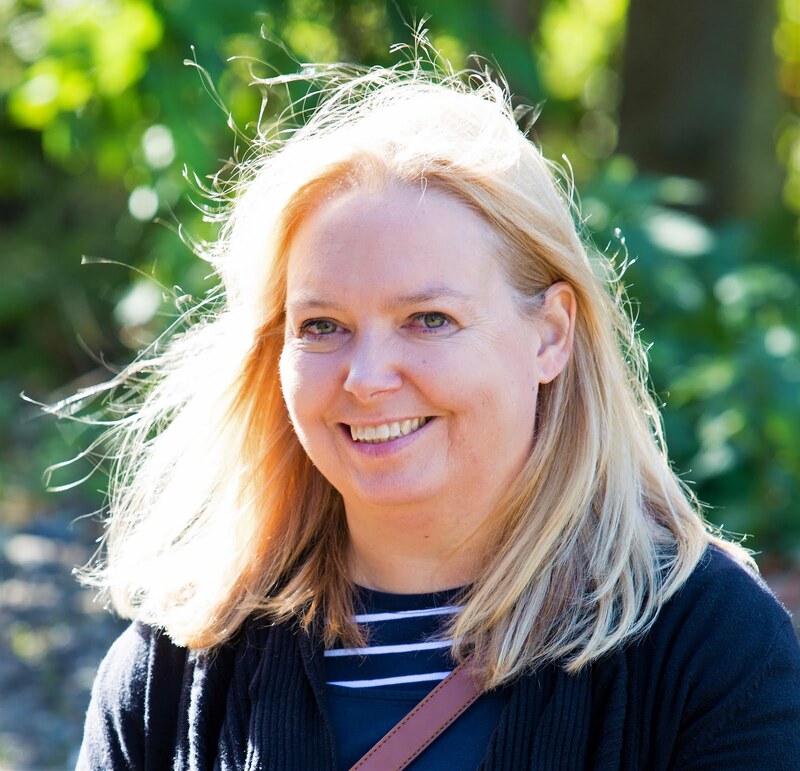 Stars such as Alan Shearer - a legend in this area, Ben Shephard, who the boys love on Ninja Warrior, and Rachel Riley have been getting involved with writing poetry too - watch their attempts via Twitter. Inspired by the William Hickson poem ‘Try, Try Again’, which is recited by footballers in the recent Premier League Primary Star advertising campaign, the competition asks school children to write around the theme of resilience; what does it mean to you to try and try again? Entries can be any form of poetic writing including a rap or lyrics. 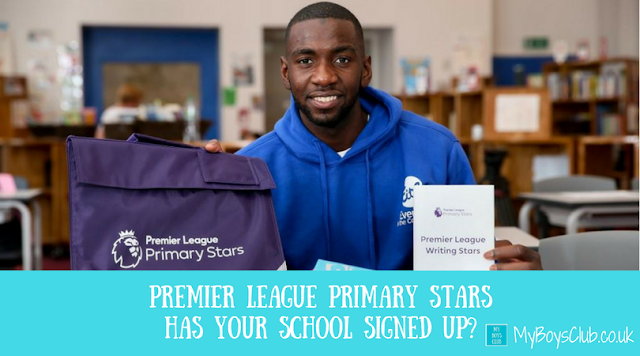 My boys’ primary school has already been lucky enough to receive support from Newcastle United and I’m going to be encouraging my boys' teachers to get involved with Writing Stars too. Competition closes on 22 December. There will be a top national prize and 10 regional prizes for each category (KS1 and KS2). A visit to your school by a children’s author or poet to lead a poetry workshop, plus the Premier League Trophy! There will also be some brilliant bags full to the brim with poetry books up for grabs for the first 1000 schools who submit entries! There are also some brilliant bags full to the brim with poetry books up for grabs for the first 1,000 schools who submit entries! What inspired you most at school? Disclosure: This is a sponsored post on behalf of the Premier League who have compensated me for my time in writing this post. All opinions and words are my own. Images have been supplied by the Premier League. Sounds like a great and encouraging program for schools to be involved in. My children haven't signed up but I think they will! My eldest is football mad, he plays for the school team and a local team too! I've heard a lot about this recently and I think it is such a great idea. I'm hoping it helps both more boys and girls to get active and involved in sport. Wow! This sounds amazing - what a great initiative (and glad to see West Brom mentioned - that's always been our family's team!). What a great initiative! It's my daughter who's the football player in our family, it's great to see her getting involved in a team sport. Sounds like a good program that would be fun for the kids. I am not a football fan but this is a great initiative. Loving PL stated values, very inspirational! I love this it is a great initiative!! My eldest loves a bit of football! Such an impressive and amazing program for the kids, I was inspired by a fellow student to aim higher and achieve the best.